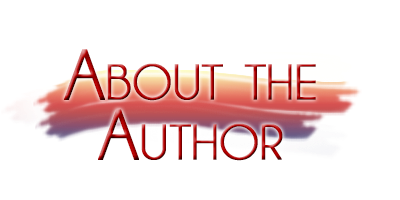 I’m so excited to be a stop on the blog tour for author R.J. Lee and his new release Grand Slam Murders. This is the first book in his A Bridge to Death Mystery series. The characters are well rounded and well developed. Wendy is smart, inquisitive and persistent and I liked her inner drive. When there is multiple murders in her small community, she knows that she has to investigate. Curiosity is in her DNA and she cannot help but want to solve the mystery. It may help her in her career also. I enjoyed getting to know her and her friends and family. The writing style flows smoothly and the book is an easy read. One thing I found unique about this book is that the murders take place right in the first chapter and there are multiple victims. The author is very talented in creating suspense with the written word. There were a lot of twist and turns and at times I felt like I was on a roller coaster. The ending was surprising and just another example of that roller coaster ride. I would recommend this book to anyone who enjoys a well crafted cozy mystery. I will definitely look for the next book in this series. When I was 7 or 8 years old, I realized that my father had been a writer and editor in New York in the late ‘40’s of what is now called ‘pulp fiction.’ He wrote detective stories back then, and I thought how neat it would be to follow in his footsteps, which I have done. 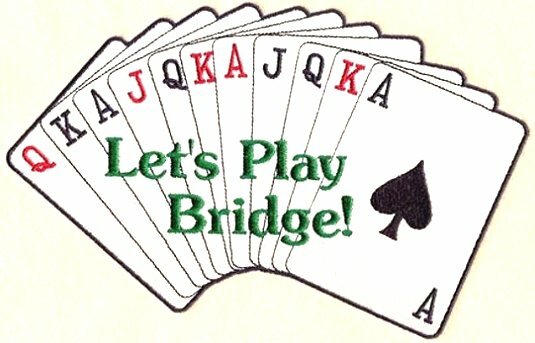 My Bridge To Death Mysteries series is somewhat unique in that each novel has some connection to the game of bridge. I’m not aware that that theme has been tackled often and certainly has not been overdone. My female amateur sleuth wants to become a proficient bridge player but keeps running into obstacles that prevent her from learning the game—mainly murders. It’s a unique approach, I think. 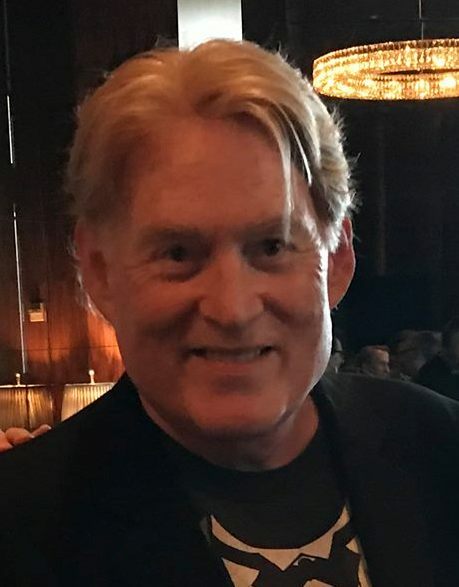 I work from a synopsis that I am required to submit to my editor at Kensington Books in New York in order to obtain a contract which my agent negotiates. I am never flying by the seat of my pants. 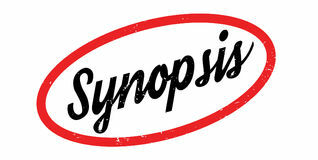 The synopsis, however, is just a skeleton. I do have to sit down and flesh out the plot and the characters, getting them from scene-to-scene. That’s the hard work of writing. I do read the major national journal reviews and some newspaper reviews. Occasionally, I will check into a site like amazon or Goodreads to see what readers are saying. I will respond to an especially insightful review. I have generally done well on such reader sites. 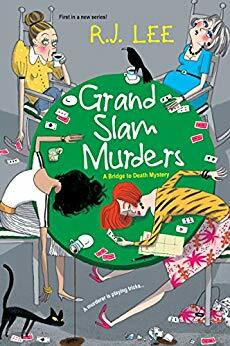 Meanwhile, I am thrilled to say that Grand Slam Murders—the debut novel in my Bridge To Death Mystery series—has received rave reviews from Kirkus, Booklist and Publishers’ Weekly. Covers can enhance an already well-written book. Library patrons and bookstore customers often go in just to browse. They often pick up books with intriguing covers. Enough said. The artwork for the Grand Slam Murders cover was designed by the Kensington Art Department, specifically by Kristine Mills and Sara Not, two talented ladies. Wendy Winchester, my young amateur sleuth, has been saddled with a society columnist slot at her local Rosalie, Mississippi newspaper. She feels her journalism degree is going to waste, but when four society widows are poisoned at a bridge luncheon, she sees her chance to do an investigative report and perhaps get a promotion. She is aided by her father, Bax Winchester, the local police chief, and her boyfriend, Ross Rierson, a police detective, who want her to succeed at her task and even leak a few things to her that they shouldn’t. That said, she is able to solve the murders when the police department gets stumped. There is a sideshow of suspects, all of whom had motive, that keep Wendy and the police department guessing. I like the fact that Wendy and the men in her life, even her sexist editor, Dalton Hemmings, work well together in seeing that justice is done. I have learned that I will apparently never run out of ideas. I think every writer may fear that at one time or another, but I seem to come up with better ideas when I think I’m drained. I think it all means I’m meant to be a writer. I now write full-time. I do admit that there were many years there when I had to have another job to pay the bills. Part of the journey, though. I do like to read mysteries and thrillers to see what is going on currently. My favorite all-time mystery writer is Agatha Christie. I am an outside-the-box guy, and I try to make my writing reflect that. If you like my work, please review it on Amazon or Goodreads and/or recommend it to friends, book clubs and/or bridge clubs. Thanks. 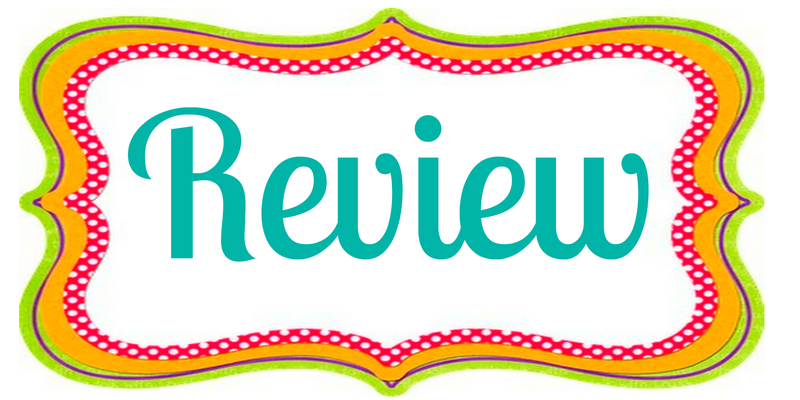 Thank you for your review on “Grand Slam Murders” and introducing me to new to me author R.J. Lee. Sounds like a fabulous book and one that I would greatly enjoy having the opportunity to read.